With Christmas well and truly round the corner, what better time than now to be getting ahead in the gift game. From Fragrance and Beauty to Jewellery and Accessories we’ve gift ideas to cover everyone – not forgetting those four-legged family members. Whether it’s that perfect present, a secret Santa or simply a stocking filler, there’s something for everyone. Shop this guide now to find the perfect gift waiting to be unwrapped this Christmas. 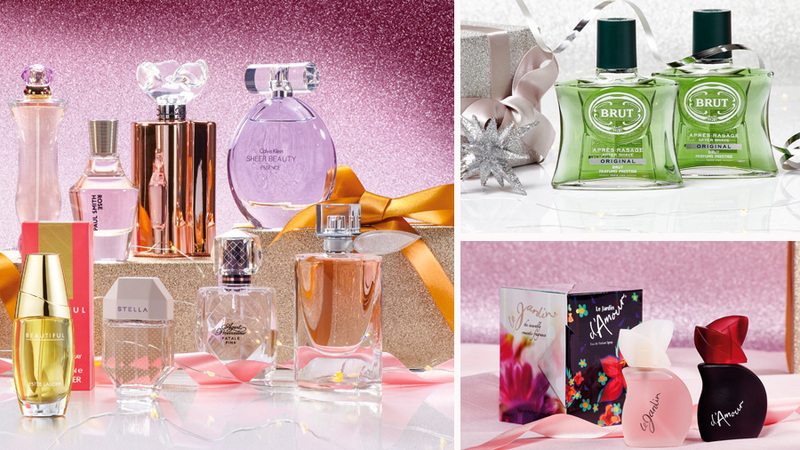 Give the gift of scent this season with our range of popular brand perfumes. Impress with Oscar De La Renta 200ml or Estee Lauder Youth-Dew 67ml. Our choice of gift sets include a perfume and body spray which is perfect for topping up on the go. Try L’aimant Gift Set or Le Jardin & D’amour Day & Night Gift Set. Treat him too to Brut Aftershave 100ml only £15 – with a special offer of buy one get one free! If jewellery is on her Christmas list this year she’ll love our stylish Pendant and Earring Set, in a pearl drop style with diamante detail and at only £15 this is such a steal! Or make her sparkle and shine with our silver Bracelet covered in diamante stones and presented in a beautiful gift box for only £10. Give her some pamper time with our Luxury Hand Care Set including a hand wash and hand lotion perfect for keeping hands happy this cold season. To top it off our 22 Piece Manicure Set covers all bases including a nail file, buffers, clippers and much more for only £17! To help beat the chills this year we’ve got her covered in our Winter Warmer Set, a matching scarf and glove set in a classic check pattern to help stay warm and cosy whilst out and about this season. Treat him this Christmas with lots to choose from our selection of men’s gifts. 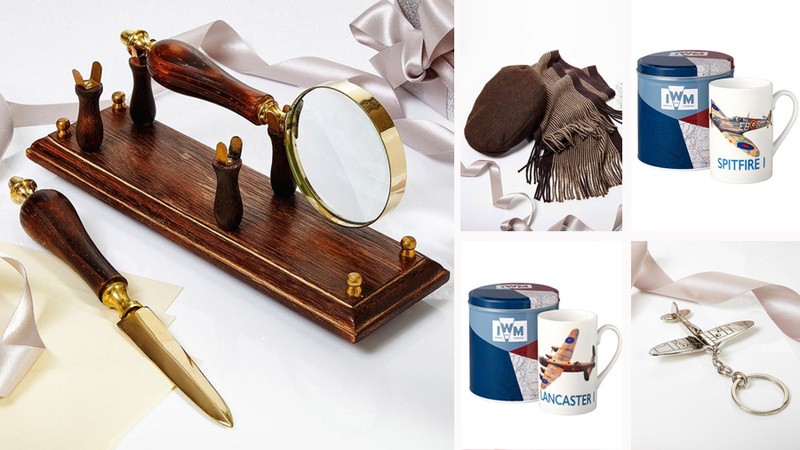 If you’re looking for something unique try this Magnifying Glass & Paperknife beautifully presented as a set, or for a little bit of history our Imperial War Museum Mugs, RAF Spitfire Calendar or Spitfire Keyring will be the ideal gift to transport them back in time. Keep him warm this season with a Flat Cap & Scarf Set, perfect for long walks or cold days out. For cosy nights in choose our cotton Pyjamas in a choice of plain, checks or spots and match with our leather Thermolactyl Moccasin Slippers, guaranteed to keep feet warm and toasty. If your pet deserves a treat this season we have plenty of fun gifts to cover their needs. 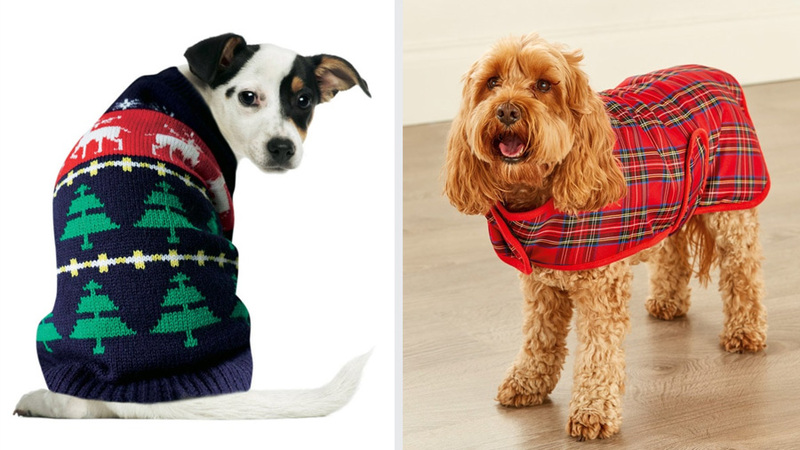 Let them dress the part in this Christmas Dog Jumper – practical and festive – this jumper is machine washable and a great way to keep them warm and cosy. For the rest of the season our classic check Dog Coat is showerproof and fleece lined with an adjustable strap at £15, making walks and outings much more stylish!